IMC have been an important and reliable recruitment partner for GE. They have thoroughly supported our recruitment needs especially in difficult regions like Algeria & Saudi. In the space of short time, they have helped us to successfully fill our crucial positions which were quite challenging. They have been highly attentive and taken all the necessary steps to understand our specific business needs and have built up a good relationship with our line managers to ensure the process runs smoothly. They have represented us in a highly professional manner throughout. We are glad to have IMC as a partner in our recruitment need. All our dealings with IMC have been very positive. They are professional, thorough in their search and effective in producing candidates that are in line with our requirements. They have a systematic process in place, which enables them to respond quickly to our requests. I appreciate their quick turnaround on positions and honest way of dealing with us. Kodak ( Near East ) Inc.. It is my pleasure to let you know that since we have started working in partnership with IMC, from the last few years back, we have always found IMC to be very professional in the services they had provide to us. They are continuously offering assistance in making the recruitment process smooth and successful. They offer a truly professional service that always delivers the right person that will fit our business. Kodak ( Near East ) Inc., Dubai Branch has been very pleased with the standard of service IMC has provided and in particular the search facility and standard of candidates. We highly recommend IMC services for Executive Search. 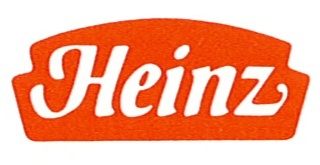 Heinz Africa & Middle East FZE. We wish to place our requisition on records for prompt and professional recruitment services provided to us by International Management Consultants. The choice of selected candidates has always been to our contentment and the most important of all, is the fact that they minimize the time we need to spend on screenings the CV's. Consequently, we intend to continue further with their consultancy services for our future staffing needs and we highly recommend them for placement services. NFPC commends IMC for the HR consultancy in restructuring the group to enhance the level of organization effectiveness. The restructure has given us better leverage to meet new challenges and achieve quantum leaps. IMC has added value in our organizational development and optimized our HR operations by streamlining our Compensation and Benefits. The quality of Executive Search has helped strengthen our management team with higher caliber of intellectual capital. We wish IMC further success.